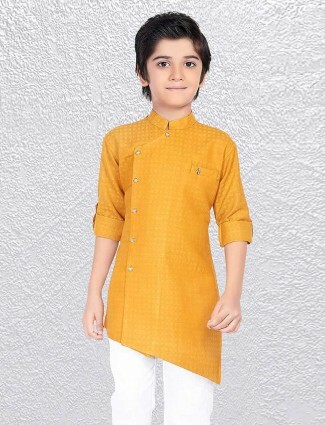 Buy short pathani for boys online in the trendy colour collection and styles for all ages from 1 years to 16 years within a budget range and premium designer range at G3+ Fashion. 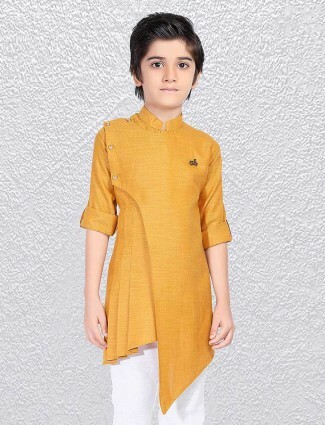 Get this short pathani to wear as casuals or for the festive celebrations in colour options to meet their desire, they rapture the ethnic conjuration of a boys dress style with soberness. 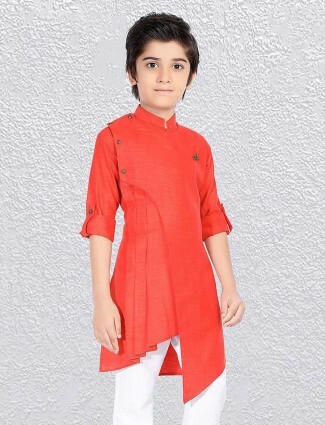 These sort of ethnic wear is based on the contemporary styles of adding the comfort level to the outfit by making this top wear like a short kurta, with a sophisticated look in a collar and placket these are boys short pathani. 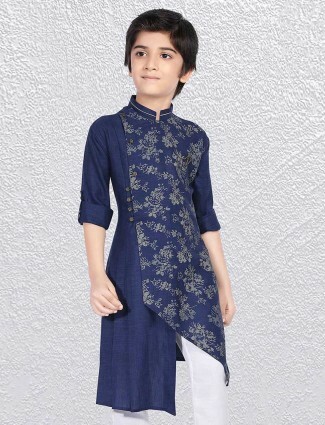 The length of this kameez kurta is shorter above knee level or knee level itself to wear on bottom wear to look stylish and smart. 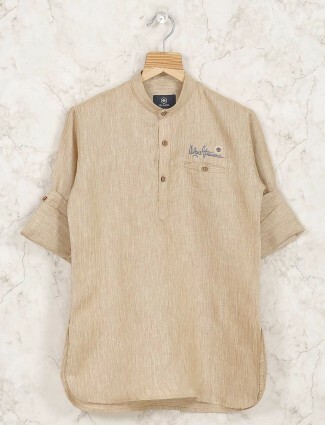 These may be in flap collar or stand and the placket enhanced with pipings and patterns, a smart look in linen, cotton or silks to give rich look. 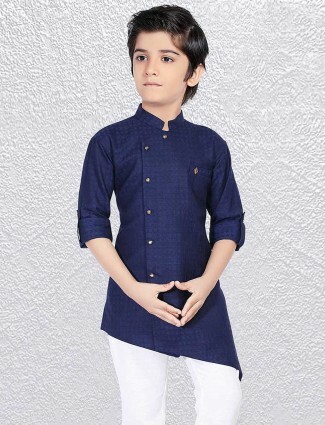 Mystique collection in boys’ short pathani in all sizes to fit all age groups till teen, has been enchanted with simple styles as trending fashion. 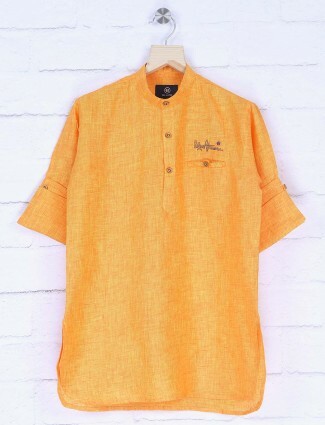 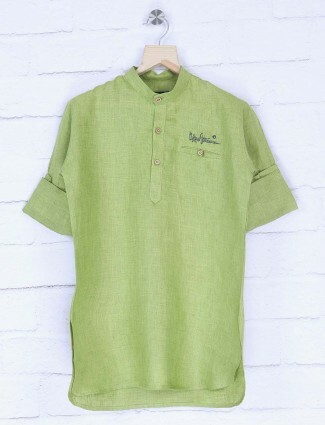 The stand collar short pathani, high neck short pathani, cutaway collars styles are the basic for this version of kurta which can be worn in different forms of pair up and be styled your own way. 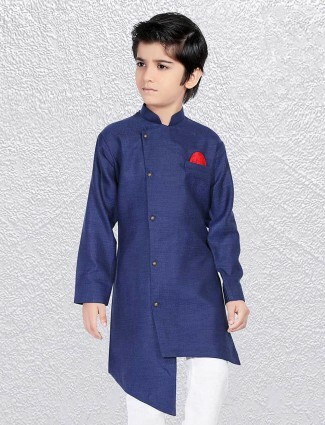 Try adding these styles for boys during a sangeet ceremony in white, beige, blue, green with stand colours in contrast dark shade, and linen base with a trouser or pants for comfort. 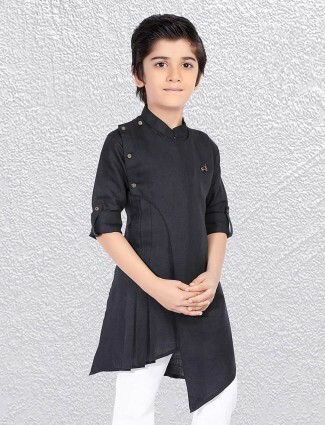 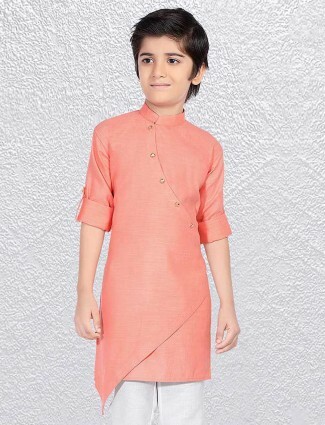 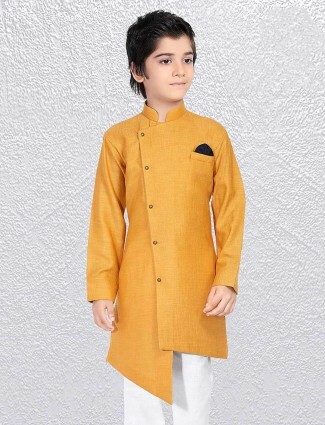 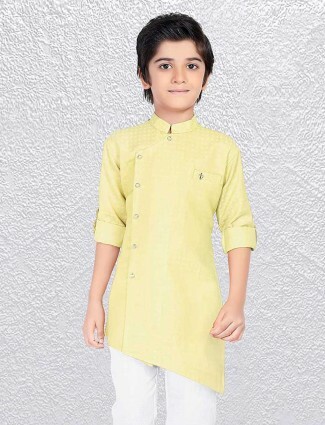 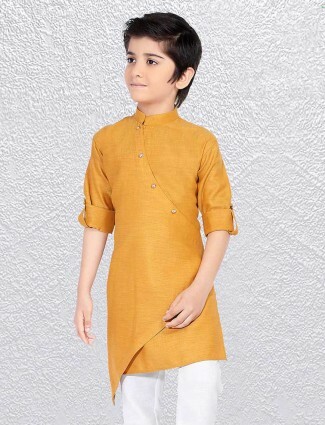 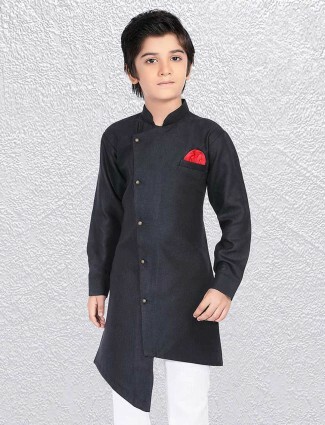 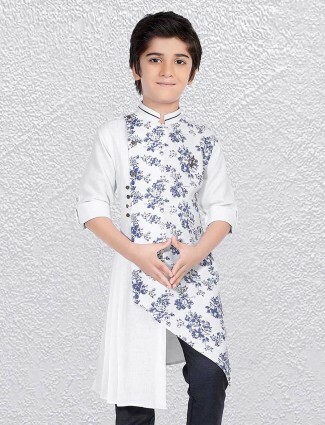 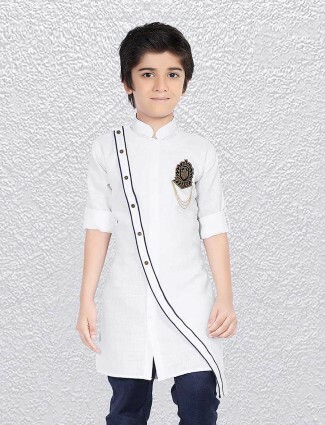 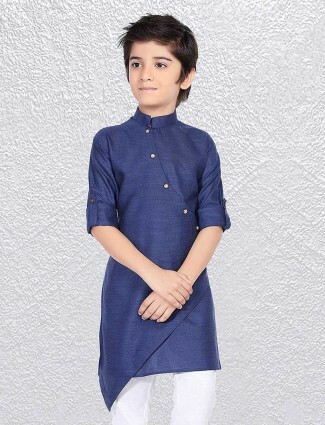 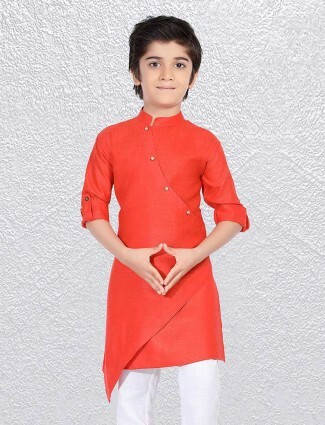 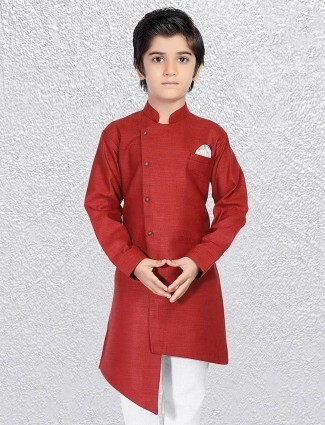 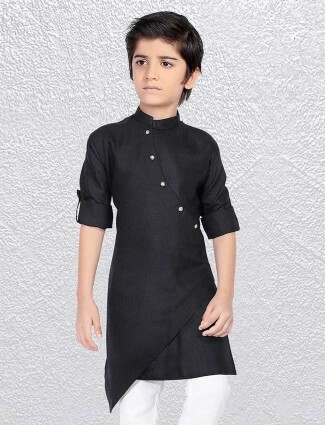 The ceremonies and festivals like Diwali eid, Navratri, Raksha bandhan, Ganesh chaturthi, others festivals can have also be the right time to dress boys in short kurtas which are embroidered with butta on the front chest or a welt and patch pocket to get more elegant for boys. 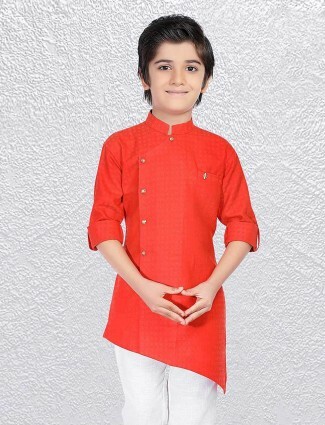 Plackets and collars are the main aspect of fashion element in this attire, which has side seams and hemline cuts to gain different array of designs from the basic short pathani for little boys, ours has more design elements harmonizing the look. 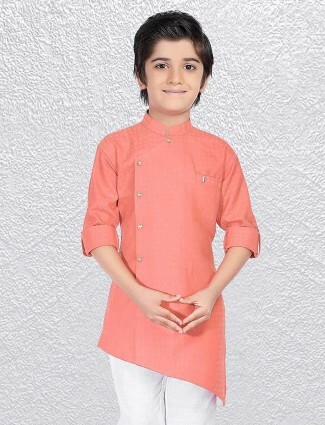 Dressing like grown-ups in complete style and of course their basic serving is to give comfort which these short pathanis definitely do, increasing the inspiration of ethnic wear in kurta styles. 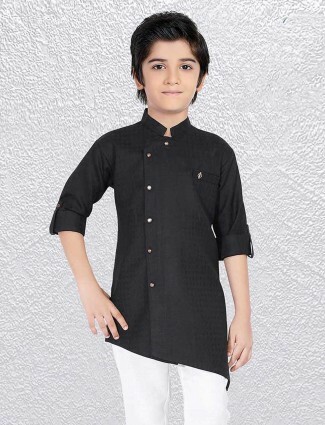 Get the latest designs of short pathani for boys to set a new look of traditional and contemporary styles merged to wear on any kind of boys bottom wear.